FOXBusiness.com’s Kate Rogers with Wearable Intelligence co-founders Yan-David Erlich and Ryan Junee on their platform for Google Glass and their new pilot program with the tech giant. Only in the world of technology can a product be saving lives in the emergency room and streamlining best practices in the energy industry. And Wearable Intelligence, one computing startup providing such solutions, says it’s just getting started. The company’s in-house software runs on Google Glass, and is part of the tech giant’s new pilot program “Glass for Work” which is aimed at providing tools for businesses to integrate Google’s wearable device into the office setting. Wearable Intelligence founders Yan-David Erlich and Ryan Junee declined to disclose funding numbers to FOXBusiness.com, but so far have raised capital from big names including Andreessen-Horowitz, Kleiner Perkins and Google Ventures. The company is based in San Francisco, and declined to give a current employee count, but said it is growing quickly and will soon disclose. Erlich says the startup has been working with Google (NASDAQ:GOOG) for the past 9 months until its recent platform launch. 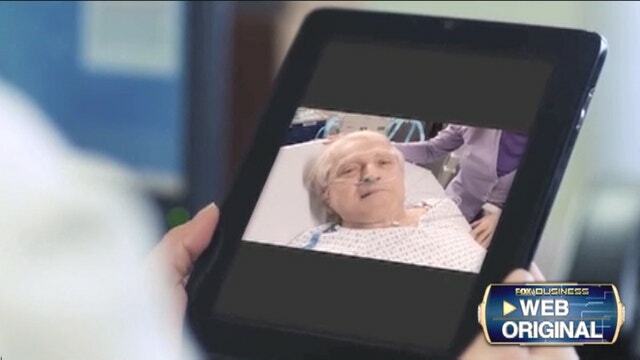 The program is running on Glass being used by doctors at Beth Israel Deaconess Hospital in Boston, Mass., where it has already helped to save a life by streamlining the doctor-patient experience, Erlich says. A patient came to the hospital with a massive brain bleed, and the course of treatment typically involves medications this particular patient was allergic to. “Historically, doctors waste precious seconds going back to the terminal to check the information for the patient. In this case, because the doctor was wearing Google Glass, the allergies and the treatment was in his field of view without having to break eye contact with the patient, and without wasting precious seconds in the course of treatment,” Erlich says. Junee says the technology has also been deployed at Schlumberger, a multi-national oil services company, where maintenance technicians are wearing Glass and running the company’s software. The two different industries deploying the platform’s technology are examples of what the future holds for wearables, Junee says. While Wearable Intelligence is most focused on finding innovative solutions throughout various industries, the co-founders say they are pleased to see continued interest in wearables from the consumer space. This week, Amazon (NASDAQ:AMZN) launched an online store dedicated strictly to wearable devices for its shoppers. And the company’s only growth concern today? Keeping up with demand, Erlich says. “We are fortunate enough to have more inbound business, so it’s just ramping up quickly to satisfy that,” he says.